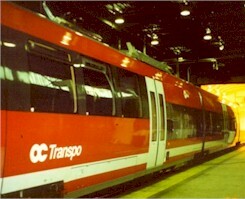 These Pictures show the new O-Train of OC Transpo of Ottawa. Part of the Pictures are by courtesy of Mike Jager. 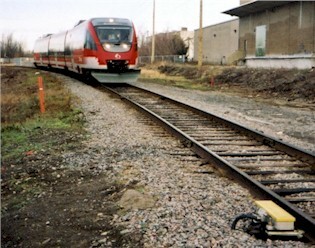 The O-Train was manufactured in Germany (by the Canadian company Bombardier, of course). 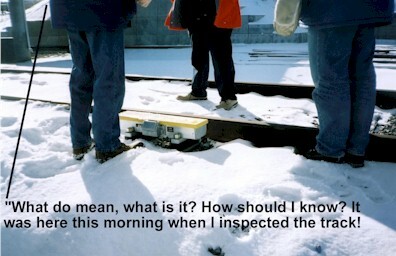 They are to my knowledge the only trains in the Americas equipped with the Indusi safety system. 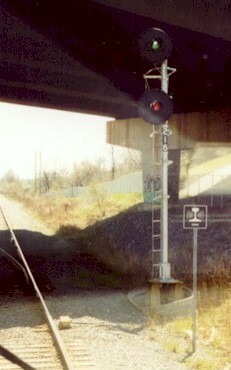 A signal equipped with Indusi at Greenboro. 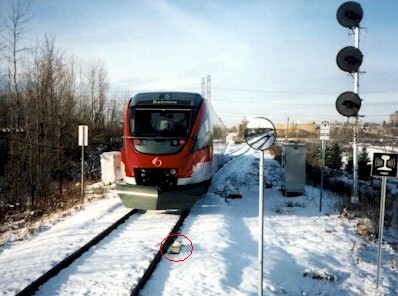 The location of the Indusi track magnet is indicated by a special board. A blow-up of the Indusi board. 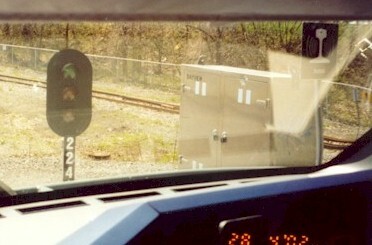 A train approaching an Indusi track magnet. 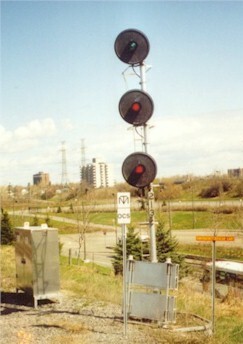 As you can see, OC Transpo also uses a head signal consisting of three lights, which is standard both in Germany and since several decades also in Canada, although the lights had to be replaced by brighter ones for Canada (Thanks to Tim Lane for this information). 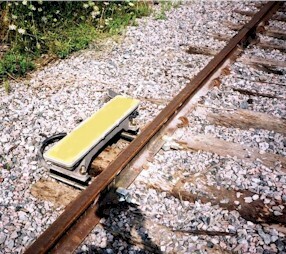 A close look of the Indusi track magnet. 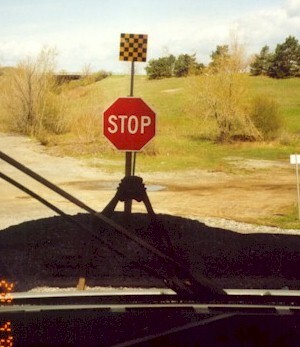 The Canadian version of a Sh 0 stop board. To be true, the upper yellow and black chequerboard sign is a standard North American railway stop sign. Rumours tell that the lower one was added to please the green-table safety folks. 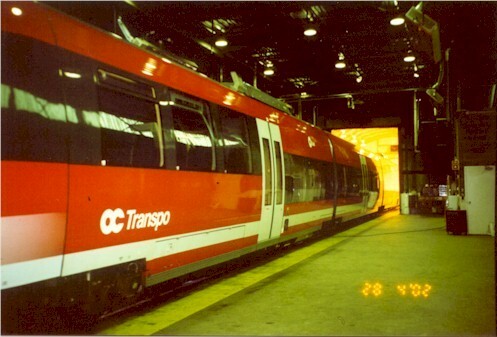 An O-Train in the shop. 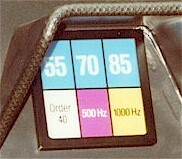 The Indusi display, English version. 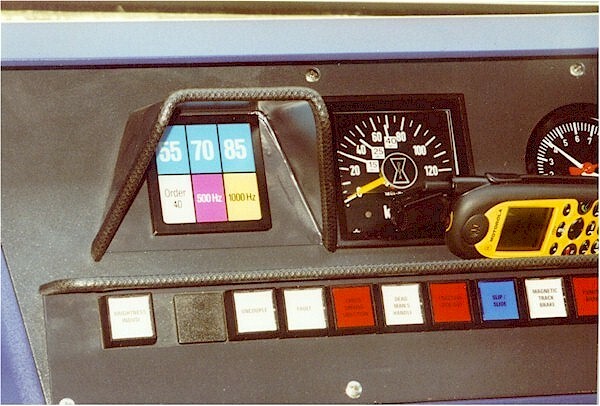 See the Cab displays page for the German original. An Indusi-protected signal at clear. Why a signal displaying a red light means clear you can find out on the page: Do American signals make sense?